Cookie Speet is a Registered Nurse and received her degree from Butterworth School of Nursing in 1979, the same year she married the love of her life, Mark. Since her hire in 1995, Cookie has served as the Director of Children's Ministries and the Director of Kids Hope USA for Coopersville Reformed Church. She says, "My passion is to encourage the nurturing of kids in a loving Christian environment." She and her husband have four kids and thirteen grandchildren. She loves life, enjoys bird watching, playing with babies, and taking long walks in the country! Pastor Arnold retired from the pastorate in 2007 and became Director of Senior Adult Ministries at Coopersville Reformed Church in May of 2008. He and his wife, Sylvia, served together at Ottawa Reformed Church, West Olive, Michigan; Good News Reformed Church, Sioux Falls, S.D. ; and Hope Reformed Church, Grand Haven, Michigan. His wife, Sylvia, grew up as a minister's daughter, and Arnold grew up on a dairy farm in North Dakota. Their son, Jonathan, lives with his wife, Sarah, in Jackson, Minn., as an Agricultural Engineer. Their daughter, Elizabeth, works at Chase Bank in Chicago. Our vision for ministry with senior adults is to go deeper in their relationship with Jesus Christ that requires understanding the Christian life as being grafted into Christ by true faith that produces fruits of gratitude. Christians never retire but are assigned to do what God intends for them to do. Activities are designed to develop trusting relationships and be involved with expanding God's Kingdom through service, Bible studies, and prayer. His life verse is Galatians 2:20--"I have been crucified with Christ. It is no longer I who live, but Christ who lives in me. And the life I now live in the flesh I live by faith in the Son of God, who loved me and gave himself for me." Tami Schoolcraft is the Director of Administration in the office. Over the past 15 years, Tami has helped with the nursery, taught Sunday School, assisted with the junior high youth group, sung in the choir, and helped with Children’s Ministries. She has been married to her husband, Scott, for 20 years, and they have three boys. 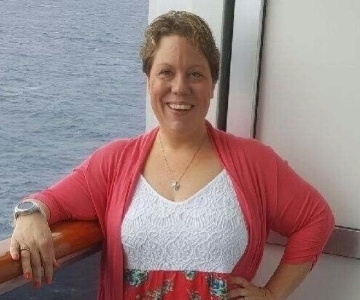 In her spare time she enjoys spending time with her family, going to the cottage in the summer, reading a good book, and playing Bunco with friends. Heather is the Administrative Assistant and Love Link Editor in the office. She joined the staff in May 2017. She is a life-long member of the church and previously taught Sunday School. She has been married to her husband, Pete, for 15 years. They have 3 children: Christopher (who recently married his high-school sweetheart), Bayleigh and Naomi. Heather enjoys spending time with her family, camping in the summer, reading and crocheting. Dave is the custodian at CRC. Dave takes pride in keeping things looking good for all who use the facilities. Dave is always readily available to lend a helping hand if you need anything. Dave is married to his wife Kathy, and together they have two children. Michelle Hazelton is the Director of Early Childhood here at Coopersville Reformed Church. As a mother of three children she knows the love and importance of a strong family foundation built with the Lord in center. She earned her BA in Early Childhood Education from Baker College and comes to us with a wealth of knowledge on child development as well as many years of hands on experience. Her experience comes from owning and operating daycares from centers with more than 200 children enrolled at times down to in home care. She has been in our church volunteering for many years prior to being on staff. As a volunteer she has enjoyed the nursery, toddler worship, preschool and many years of VBS. Her passion for children is clear and her love and commitment for Jesus is evident with her daily enthusiasm. Please visit the Little Tykes hall downstairs, to say hi, and ask any questions regarding the programs we have to offer. Dori is the Director of Junior High Youth. Dori has lived in Coopersville all her life and have attended Coopersville Reformed since she was in seventh grade. Her husband, Matt, and her have three biological children, Lily, Evan, and Adalynn. She returned from Haiti in June 2017, where they picked up their fourth child, Peterson. She was previously a youth group leader under Pastor Rob Wondergem for three years, and Matt was a leader under Pastor Rob and Louise Boom for seven years. They took a break while they raised babies, and now God has called them back to junior-high ministry. The things she loves most about working with middle-school kids are their honesty and their energy. There is never a dull moment at Crossroads! She is really looking forward to making more and better middle-school disciples through truthful conversation about Jesus and who we are in Him, serving our community, and having a lot of fun along the way. Heather is the Director of Senior High Youth. Heather is happily married to Matthew Mekkes. They have 4 children. They moved to Coopersville 8 years ago and immediately began attending Coopersville Reformed Church and became members about 6 years ago. She has been involved in high school youth ministry for close to 10 years, 3 of which have been at CRC. She looks forward to leading the high school youth and helping them discover what it is to be a "follower of Christ".